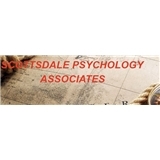 Scottsdale Psychology Associates (Scottsdale) - Book Appointment Online! SCOTTSDALE PSYCHOLOGY ASSOCIATES is a leading provider of comprehensive mental health services. Our mission is to provide you the most outstanding and comprehensive psychological experience to enhance your growth in life. It is our goal to deepen your life experienes that will ultimately achieve both pleasure and satisfaction. We strive to offer a variety of services that include assessment, psychological evaluation, and individualized treatment to fit your needs. We believe in providing services of the highest quality and in achieving superior levels of patient satisfaction through the combined efforts of our outstanding team. He really let's you know what you need to do to help yourself. He is straight forward with telling you things even if you don't want to hear them.